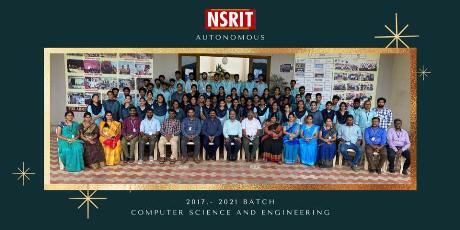 The Central Seminar hall is the venue for all the important events at NSRIT (Formerly VITS). The year 2008 can be earmarked as the year in which this seminar hall established its presence and value for the Institute by holding many events and functions. It was inaugarated by the Chief Guest of the ceremony Prof. Allamm Apparao, VC - JNTU, Kakinada.. Since then it has hosted many Mega scale events like Engineer's Day, Yuva vani VECTA, E-Plus club, HCL-CDC workshop & Conference, etc. And this is just the beginning.